The XW system control panel plugs into Xanbus network and provides a central user interface to configure and monitor all components in the system. The XW SCP is a Xanbus™-enabled device featuring a graphical, backlit LCD screen that displays system configuration and diagnostic information for all devices connected to the network. When installed as an XW System accessory, the XW SCP eliminates the need for separate control panels for each device and gives a single point of control to set up and monitor an entire XW Power System. 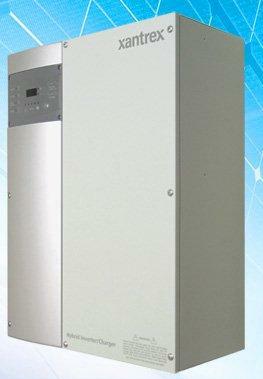 Interfaces with: XW4024, XW4548, XW6048 Inverter/Charger(s), XW-SCC Solar Charge Controller, XW Auto Generator Start. The XW System Control Panel features a graphical, backlit LCD display that provides system configuration and diagnostic information for devices connected to the Xanbus™-enabled network. 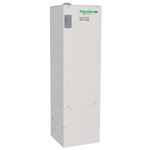 The XW SCP gives a single point of control to setup and monitor an entire system, which may consist of multiple XW Inverter/Chargers, XW Solar Charge Controllers and other components. The XW System Control Panel can be flush-mounted or surface-mounted. Mounting brackets are provided for each.